This film takes place after the Chadian civil war. Atim, a 16 year-old boy, is sent by his grandfather to kill Nassara, the man responsible for killing Atim's father. Atim discovers that Nassara is the owner of a bakery. Nassara ends up taking Atim as an apprentice and treats him like a son. Atim has to choose between avenging his father and forgiving the man he has come to know. Dayna Oscherwitz. 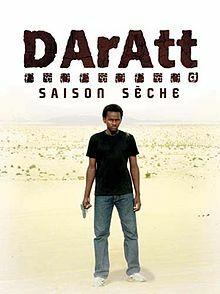 “Dry Season directed by Mahamat-Saleh Haroun (review)”. African Studies Review 57.2 (2014): 237-239. Project Muse.